For those of you who have been receiving my newsletter for some time, you may recall my telling you about our short winters here in the Hilton Head area. However, I want to tell you about another seasonal pleasantry. Summer is our busiest season for guests, of that there is no doubt. We have multitudes of families arriving for their annual beach vacation. Honestly, I don’t recall ever seeing more people biking on the paths near our office than we have had this week. But now that August has arrived, there are subtle changes. There will be less families arriving each week as we approach the beginning of the new school year as families start to focus on their back to school plans. 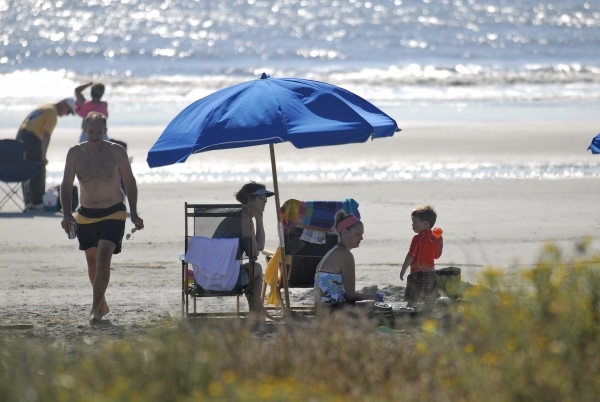 An early sign of this here in Beaufort County is tax-free weekend the first weekend in August. It is a big shopping event with parents and grandparents taking advantage of the tax break to get their children clothes and supplies ahead of the upcoming term. Although a physical event, there is also a mental change that a new phase in time is about to begin. The school year would have been scheduled to start here on August 21st, per SC law, as the earliest possible starting date. Legislation changed the date to allow the schools to open on the 17th, this year only. Without this adjustment, the first school day would have occurred on the day of the full eclipse, an event much anticipated by all. Students will have the day off to see this once in a lifetime spectacle, but will begin the year a little earlier than usual to make up the time. Many schools throughout the country start much later than we do, making the reduction in visitor numbers only slightly detectable at first. Slowly, we will notice less traffic on changeover days and an ease in getting a reservation at our favorite restaurants that we haven’t had. While we love to have a great tourist season, it is also nice to have things calm down a bit in August. There are other changes, too. Occasionally the mornings will be slightly cooler and dryer than before. Temperatures don’t climb quite as high. Comments about the beautiful morning are heard in offices, at the grocery store, or in the local Starbucks as patrons greet each other. Interestingly, people don’t comment that the humidity has dropped or the temperature is lower – just that it is a wonderful morning! As I am writing, we are experiencing showers, but the sun is breaking through as it often does on a “rainy” Hilton Head day. The lush landscape seems to appreciate the slightly lower temps and nurturing rainfall, looking better than ever. If this sounds good to you, come ‘round for a visit soon. There are many days of ideal beach weather coming up and a few less people who will want to share your favorite beach hangout.